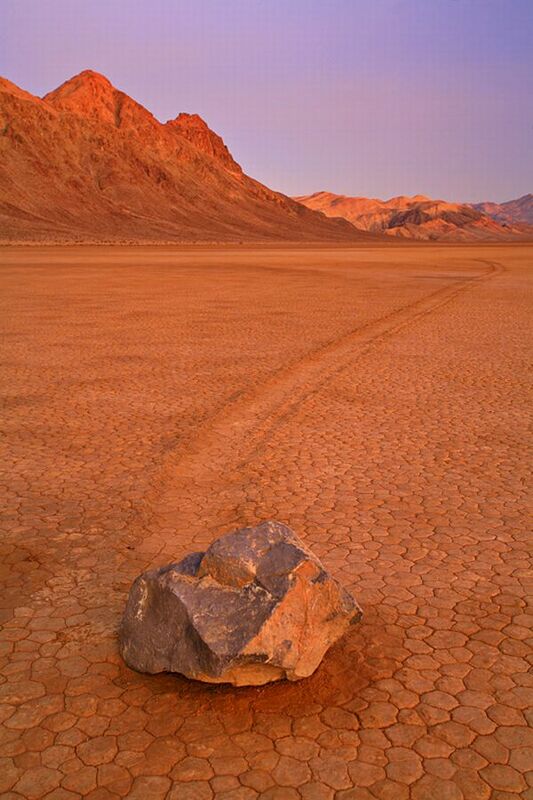 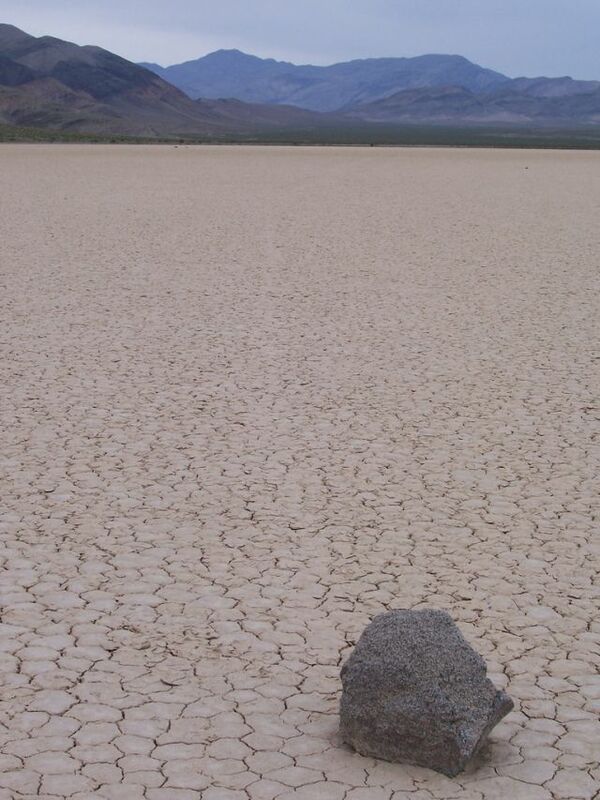 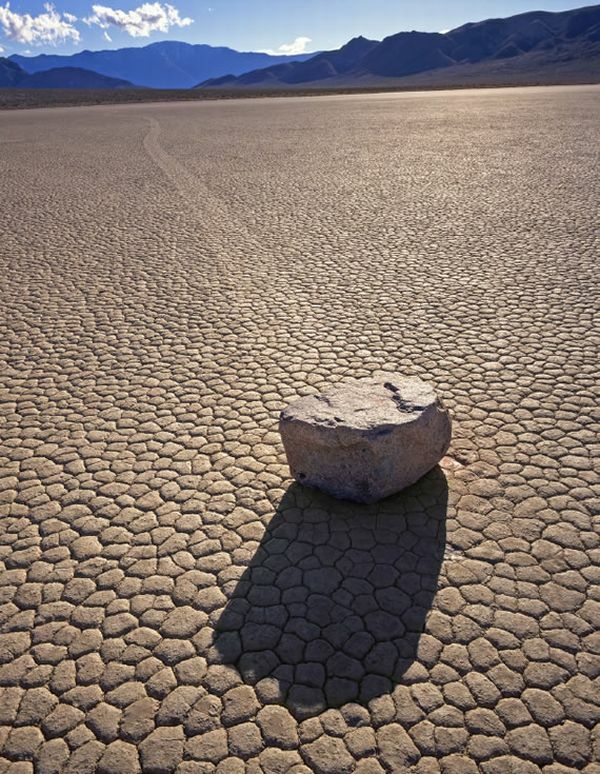 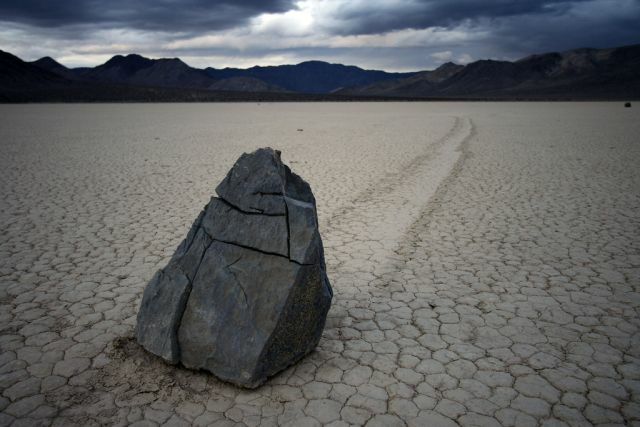 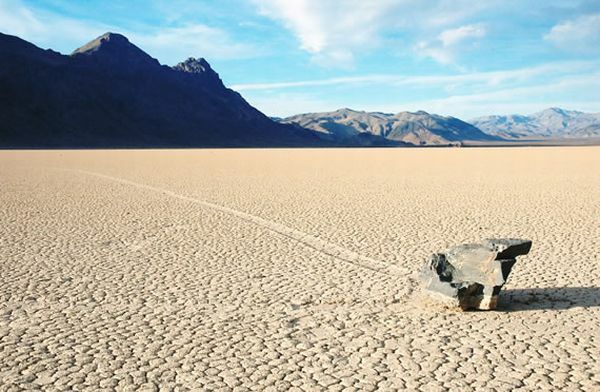 The mysterious stones of Death Valley are magnificent. 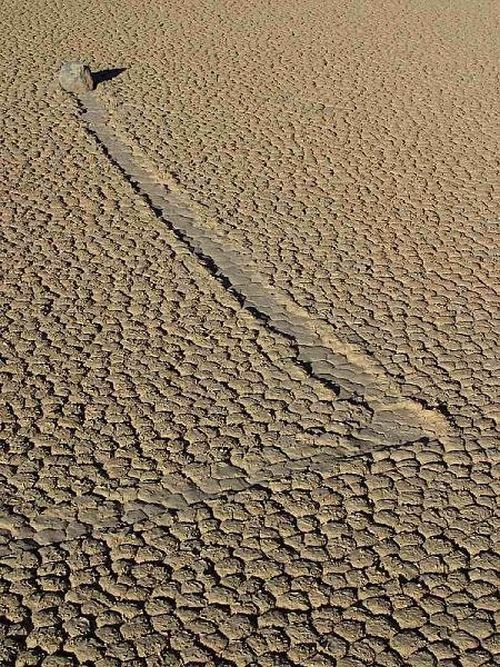 They usually all take different paths, even turning around each other. 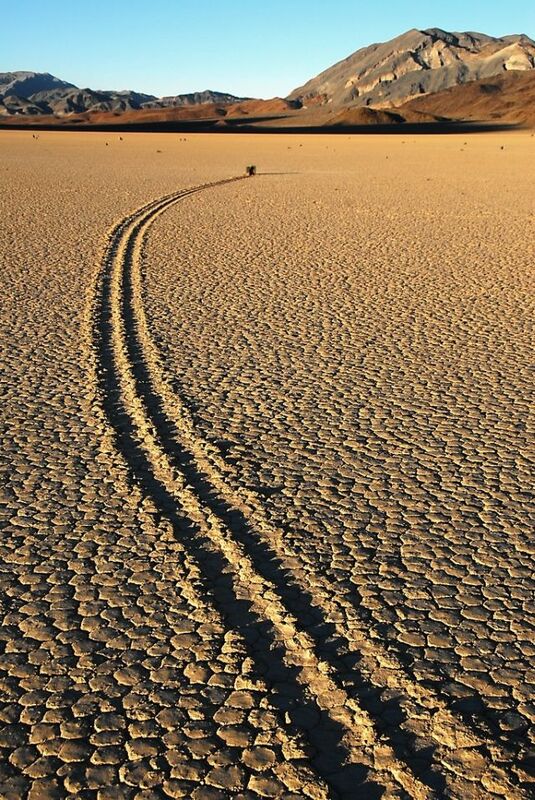 No one has ever seen them move and nobody knows the speed they move with. 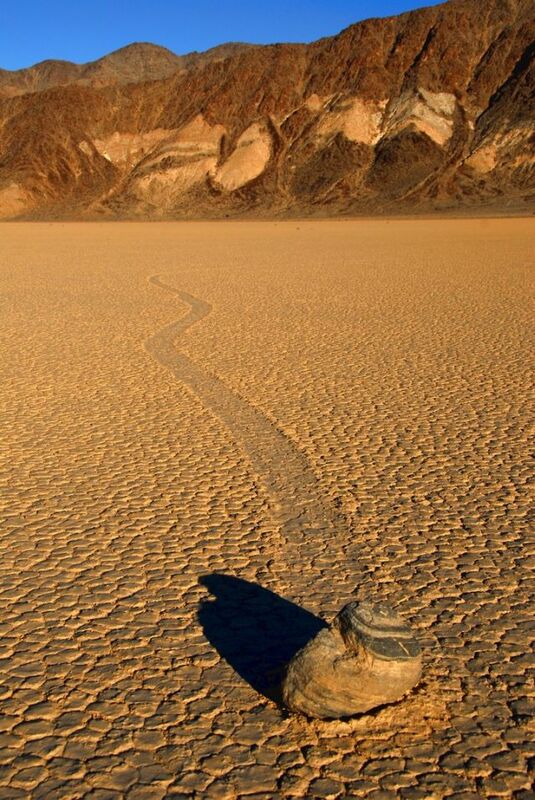 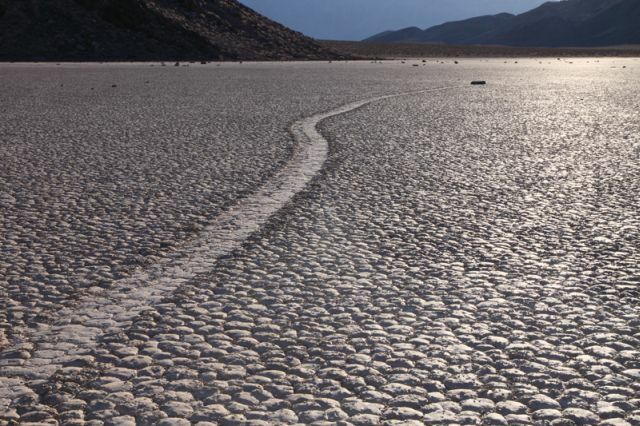 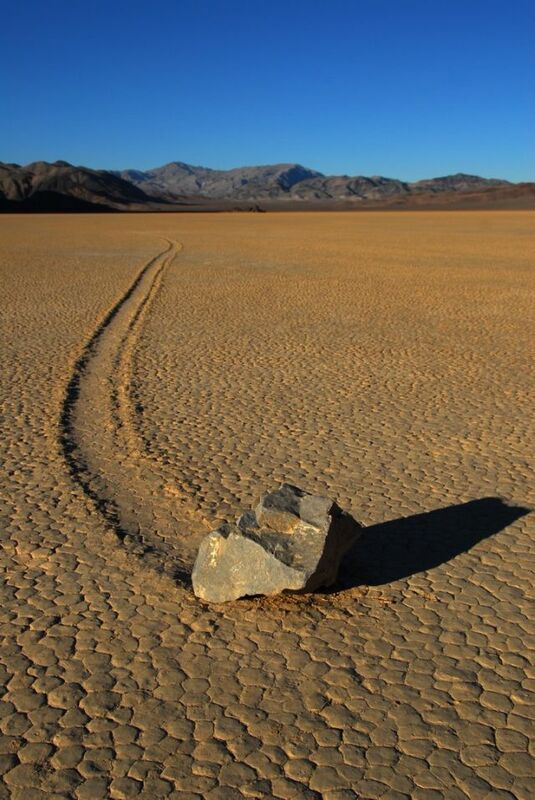 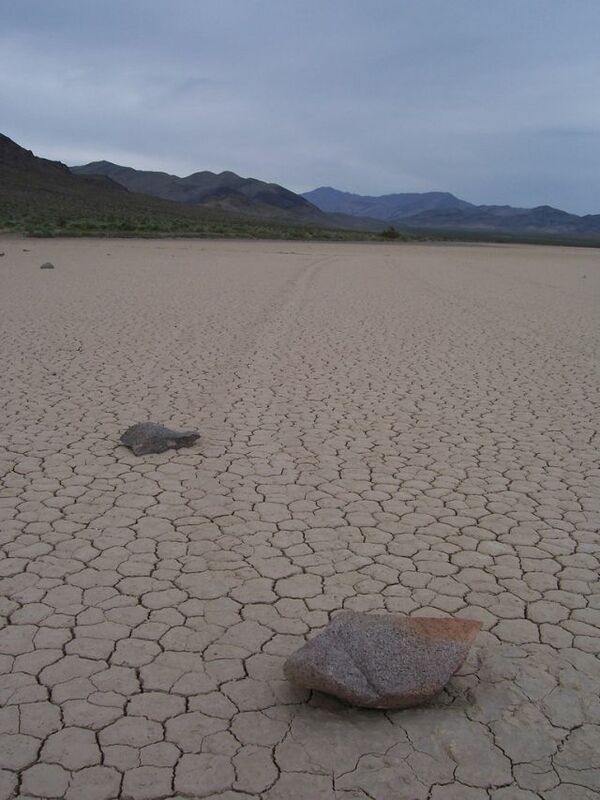 The mysterious sailing stones of Death Valley often turn while they are sliding through the flat leveled valley and this leaves different tracks behind them. 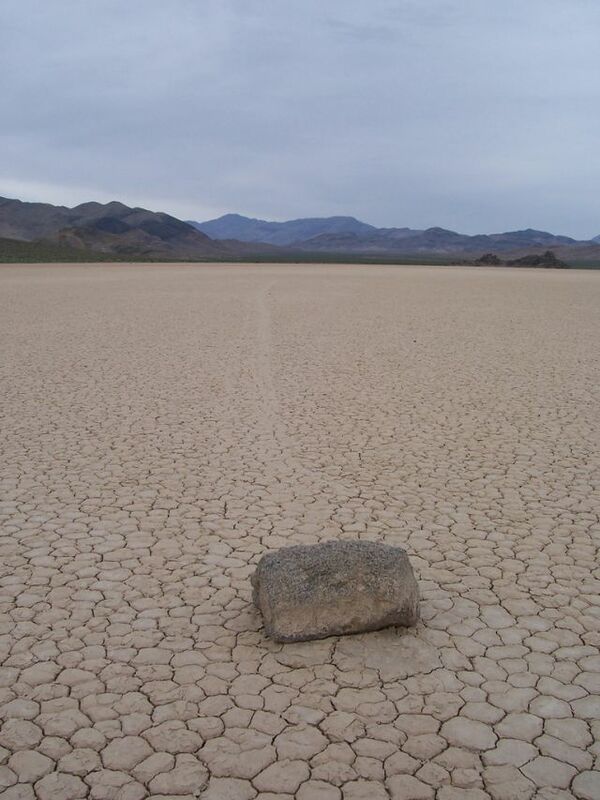 Some stones move further than others over two to five years. 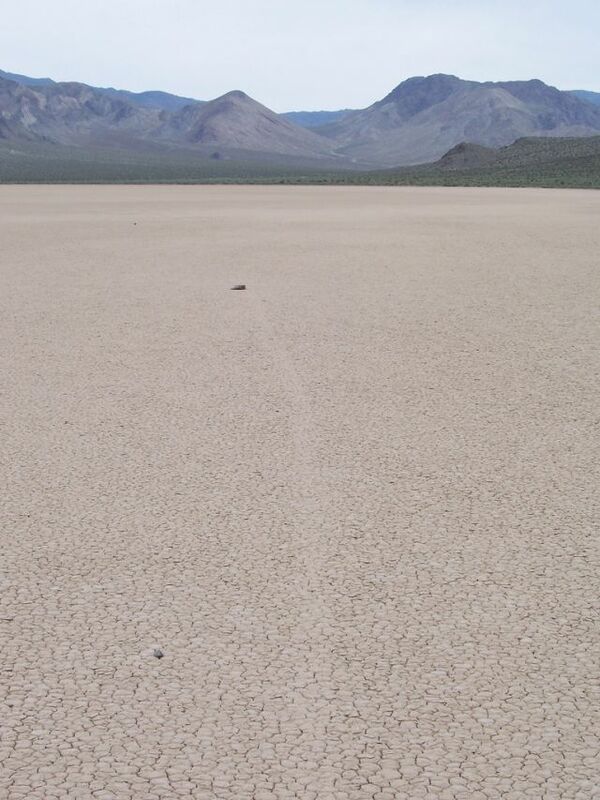 They're probably trying to get away from Death Valley, as am I. I live in Las Vegas, so I'm pretty close. 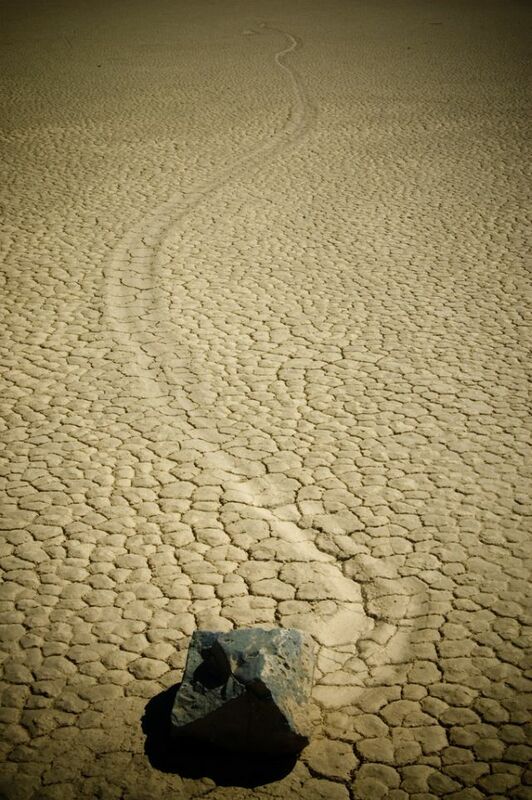 Until that its a mystery, but it could be solved pretty easy if they really wanted to.